Rewards4Golf caught up with Rhys Enoch as The Open came to an end. The curtain has closed on the 147th Open at Carnoustie as Francesco Molinari became the first Italian player to win a major. Featuring alongside some of the world’s top players across the week was Welsh golfer Rhys Enoch, who is sponsored by Rewards4Golf. It was Enoch’s second Open appearance after making his debut at Hoylake in 2014, and he successfully made the cut this time around to get the chance to play alongside Masters champion Patrick Reed on the Saturday. Firstly Rhys, for those who may not be familiar with your career, tell us a little bit about yourself for our members and readers. I turned professional in 2012 after spending five years in USA at East Tennessee State University. My progress was hindered initially as I was quite ill with glandular fever for three months, that set me back until about 18 months and still plagues me now as I have to really watch my energy levels. In 2013, I qualified for the Alps tour and played off invites on the Challenge Tour, where through seven invites I played well enough to keep a card. I have also played on the Sunshine Tour (in South Africa) since 2014 and it has almost been like a winter excursion for me. I actually managed to win my first four-round event in February this year in Cape Town and from then on, I feel like my game has gone on to another level. Talk us through your experience at Carnoustie over the last week. Has the experience sunk in yet? It was such an unreal experience. I knew a little bit about what The Open entails having played back in 2014 but I had never been to Carnoustie before. The whole week was incredible. The hardest bit was having to manage your energy levels, you’re often at the course for eight or nine hours so you’re really mentally tired throughout. Even when practicing you’re talking to the likes of Henrik Stenson and Tommy Fleetwood, who I know from our amateur days, so it’s just a great experience to be around guys that are at the top of their game. You made the cut, while a number of high profile players missed out, that must have been a great experience to play in the final rounds of a major? I was ecstatic at making the cut. Seeing the likes of Dustin Johnson and Justin Thomas struggle showed what a tough course it can be. The pin locations were the toughest I have seen and it made it extremely difficult, which shows how high the standard is. But if I’m honest I have to say I have mixed emotions, I wasn’t really in any trouble on the first two days and then I made a lot of birdies on the Saturday, but my putting was quite disappointing. If I had been better with the putter then I could have been challenging up there at the top in the final rounds. But of course, playing on the weekend was a new experience and it’s something I want to do again. I have to say my caddy, Martyn Thompson, was incredible, the preparation and hard work he put in was fantastic. Saturday must have been pretty special for you, playing alongside Masters champion Patrick Reed? What an incredible atmosphere, it was unreal up there on the first tee and fantastic to be playing alongside Patrick. He gets a bit of stick every now and then but he is such a nice guy. We had some good chats in between holes and he was very polite and great to be around, everything you want from a playing partner. Molinari seemed to take less risks than some of the others around him in the final round. Is that the best way to handle Carnoustie? I think a sensible approach was definitely the right route to go down. Other players were using their drivers everywhere and we couldn’t believe it, it was playing well enough without having to get the driver out. The key was to take the bunkers out of the equation as much as possible and to not waste shots by having to play sideways out of bunkers. One or two guys took unnecessary risks when a long iron or short iron would have been more than enough. Obviously, Molinari took less risks and opted for a sensible approach, and it absolutely paid off for him. You played in The Open at Hoylake in 2014. Did you prepare differently for the Championship this time around? I played less golf in the build up and conserved a lot of energy this time around. I used to always want to play with the best, whereas I was probably more mature this time around. I feel readier to compete and don’t feel as overawed anymore which has definitely helped. In fact, when the pressure was on whilst playing with Patrick on the Saturday, that was when I played my best golf. What does a finish like this in The Open mean for you and your career going forward? Yes, it’s great that I don’t have to worry about the next few months with the prize money from this week and I already feel like a different player. When I’ve got time to reflect, I can look back on some great memories and I feel like I played some good golf that I can be proud of. I had some great comments from Henrik Stenson and Patrick Reed and it was great to be able to compete at that level. I putted poorly but it was relatively good finish and for me it’s all about knuckling down and continuing to improve. What is next for you, I’d imagine a full card on the European Tour and perhaps more appearances at Majors would be the mid to long-term target? Absolutely, a full card on the European tour is something I want to target. 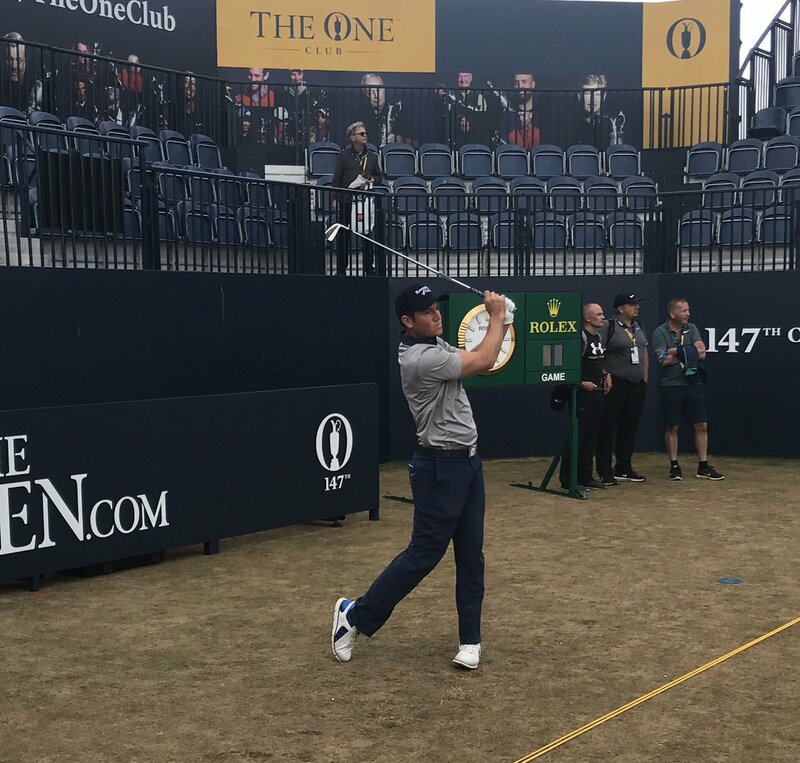 I’ve made the cut for the weekend at The Open and it’s given me the self-belief I need. I know I have what it takes to succeed now and I’m absolutely ready for the next challenge. The Challenge Tour is a difficult one and I will be looking to progress with that first. Rewards4Golf provides golfers with the opportunity to save money on the latest golf trends with the sport’s top retailers, are there any products that you used at The Open that you would recommend? 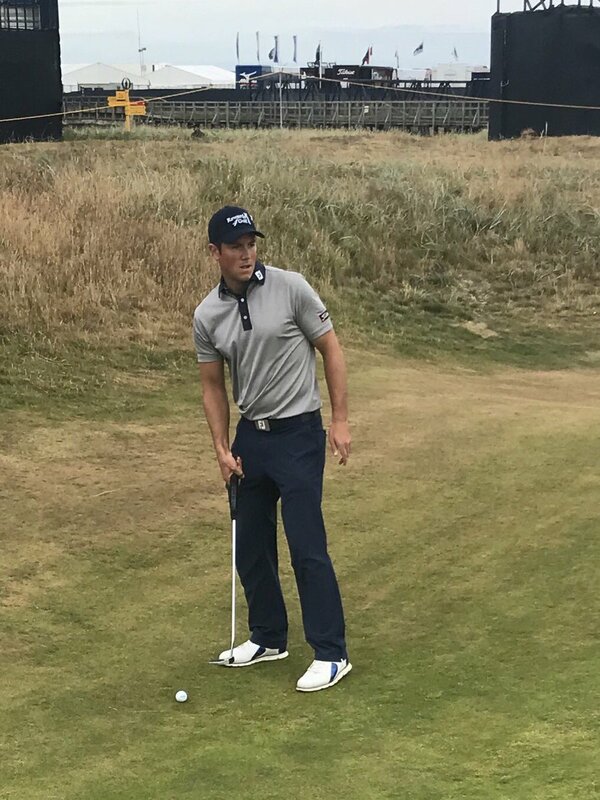 I am very much a traditional golfer in terms of what I wear, I like wearing traditional clothing and looking smart, which is why I enjoy wearing FootJoy. I would definitely recommend the Titleist TS3 Driver, I used it at Carnoustie and it’s incredible. It has already given me an extra eight or nine yards. There is a lot of fantastic Titleist gear with some of Rewards4Golf’s retailers so that would definitely be my recommendation as one of the top brands in golf. Finally, for those who have followed your progress this week, what message would you like to give to those people? Keep an eye out for me in the future! I am really hopeful that I can move forward now. With Welsh golf at the moment, there aren’t too many players pushing so I hope can take Welsh golf forward and put us on the map again. It’s up to me to continue to breakthrough, I feel like I have matured personally and I am looking forward to the next period of my career. Want to view the retailers with whom you can spend your valuable Rewards4Golf points? Simply click the link below!